New object is situated in the quiet place in village Povile, near the sea (50m). 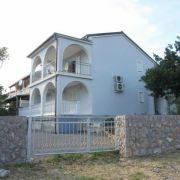 3 apartments, 2 for 4+2 persons … More » and 1 for 2+1 persons. Bigger apartments have kitchen living room, 2 rooms, shower, WC and terrace (first floor). 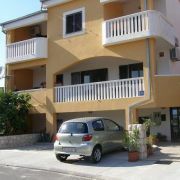 Smaller apartment has kitchen, room, bathroom and terrace (ground floor).